If you are using GPU-enabled instances on the Amazon Elastic Container Service for Kubernetes (EKS), the company today announced expanded availability in the following cities, Frankfurt, Seoul, Singapore, Sydney, and Tokyo. 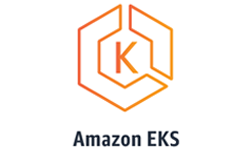 Amazon EKS makes it easy to deploy, manage, and scale containerized applications using Kubernetes on AWS. The tool allows developers to use existing plugins from the Kubernetes community, and to easily migrate Kubernetes applications to Amazon EKS. The system supports Amazon EC2 P3 and P2 instances which feature NVIDIA Tensor Core V100 and K80 GPUs. The NVIDIA GPU-based instances power some of the most computationally advanced workloads including deep learning, HPC, financial analytics, video transcoding and more.